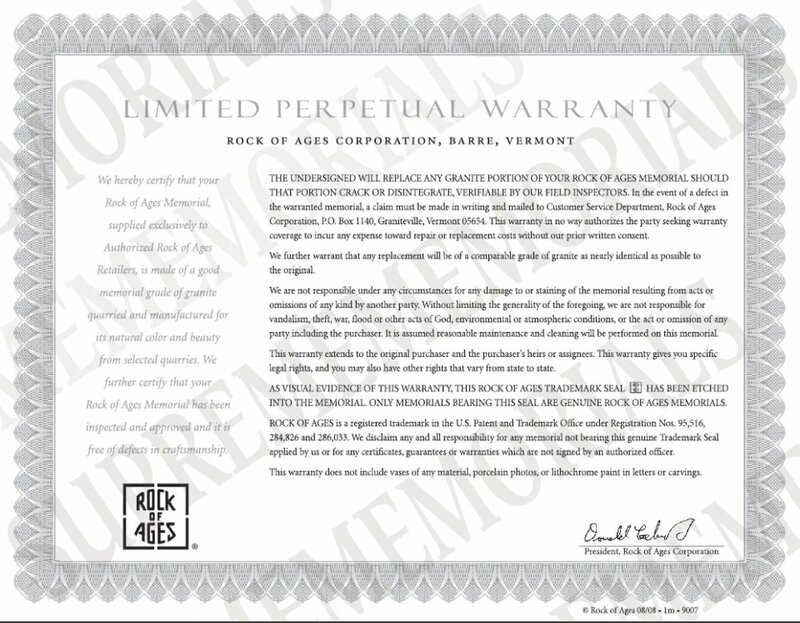 "If it doesn’t have a Rock of Ages seal, it’s not a Rock of Ages memorial"
When you choose a memorial made by Supreme Memorials, you don’t need to look far to be assured of the quality you deserve. Because the ROA brand seal is carved discreetly at the bottom corner of the back side of your memorial. This seal is a symbol of our promise of enduring quality to your family. It is the only way to be certain that yours is indeed a memorial from Supreme Memorials. 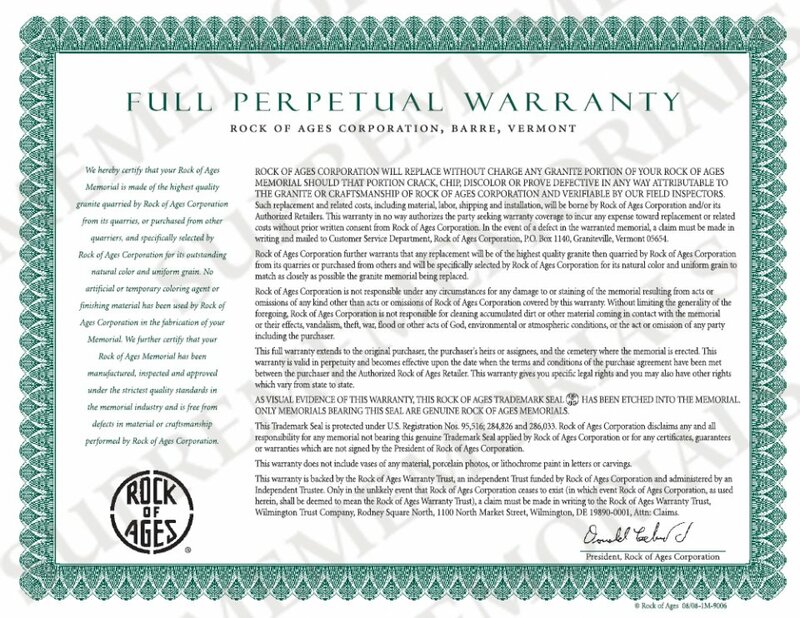 And the Rock of Ages Perpetual Warranty ensures that your memorial will be protected forever.